Add a personal touch to your event with unique invitations in Columbia, MD. Speak with us to choose the details of your unique invitations. "A memorable event starts with your perfect invitation." A memorable event starts with the perfect invitation! Create your bespoke invitations in Columbia, MD, when you work with You’re Invited by Jan. Our boutique studio specializes in custom invitations, calligraphy, and day of stationery products that fit every type of celebration. Whether you are preparing to walk down the aisle or planning your child’s Bar or Bat Mitzvah, we have the perfect option for you. Choose every detail of your custom invites and other event features when you turn to us for your services. Make every guest feel welcome at your celebration when our professionals work with you to create your special invitations. At our studio, you are our top priority. From the moment you contact us for service until your celebration is complete, you can count on us to deliver the leading standard of service. We take the time to get to know you, the guest of honor, and every other detail of your upcoming event. From your color preferences to the overall party theme, we create custom invitations that invite your guests and excite your guests about your upcoming wedding or celebration. Jan and her team will work with you on the design of your invitation including wording, font selection, paper color, and imprint coordination. Jan's suggestions never overwhelm; they simply add an element of comfort and excitement to your project. From elegantly traditional to wildly unique, we can design an invitation that captures your special style. While using unique invitations puts a special spin on your event, there is more to a standout celebration than just the invite. In addition to our services for invitations, we also offer a variety of different options to add the perfect finishing touch to your festivity. We are available to design distinctive details to give your event a cohesive look and make every guest feel welcome. From your invitations to your napkins, let us personalize every part of your event. Are you preparing for a wedding or other function outside of the Maryland area? Although we call Columbia home, we are happy to design invitations for couples from Maryland and Washington, D.C. to Philadelphia and New York City. No matter where your celebration is, do not hesitate to turn to us to request our service options. Be our guest! For more information on how we can personalize every detail of your event, we invite you to schedule an appointment with us. During your meeting with Jan and her team of professionals, you will discuss all of your options. Speak with us to set up an appointment in person or by phone and add a personal touch to any event. Contact us in Columbia, Maryland, to choose the details of your unique invitations. We create unique invites for every festivity throughout Maryland, Washington, D.C., Philadelphia, and New York City. 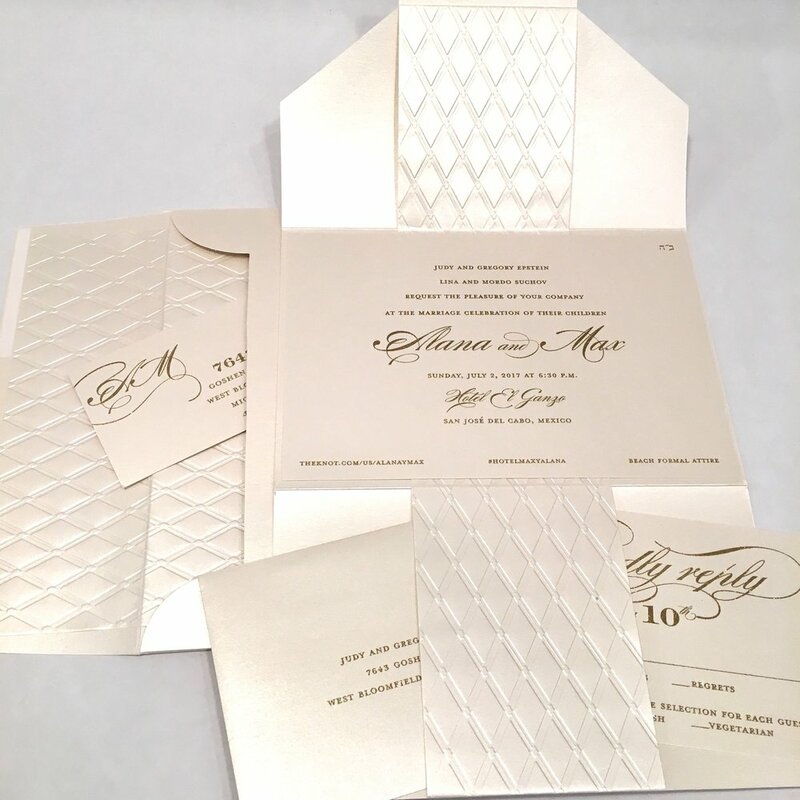 You’re Invited by Jan has helped our clients create exceptional, one-of-a-kind invitations and announcements for weddings, bar/bat mitzvahs, and all special occasions. 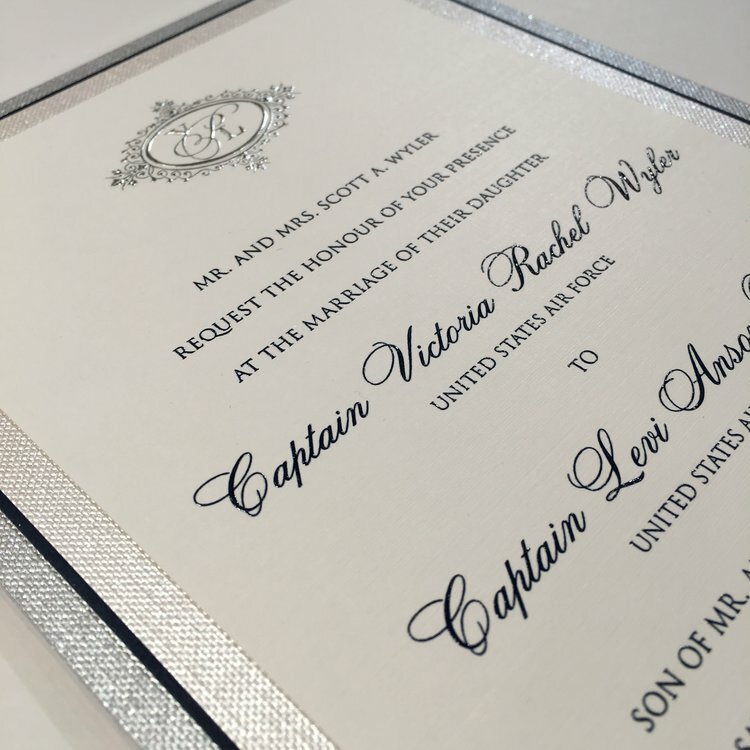 Our expert designers will bring your ideas to life, creating a unique invitation that coordinates perfectly with the theme you’ve selected for your special day. 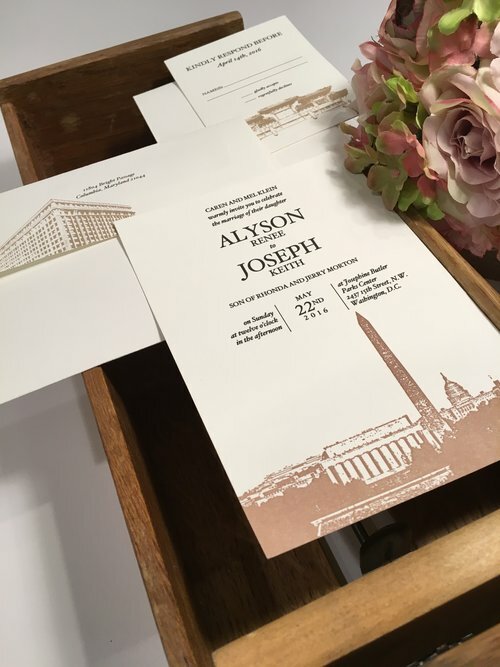 Although we call Columbia, Maryland home, we design invitations for couples from Maryland and Washington, DC to Philadelphia and New York City. Schedule an appointment with Jan to find out how we can help you create the perfect invitation. If you would like to set up an appointment, or have a phone conversation, in the message box below, please give us two different days and times you are available.